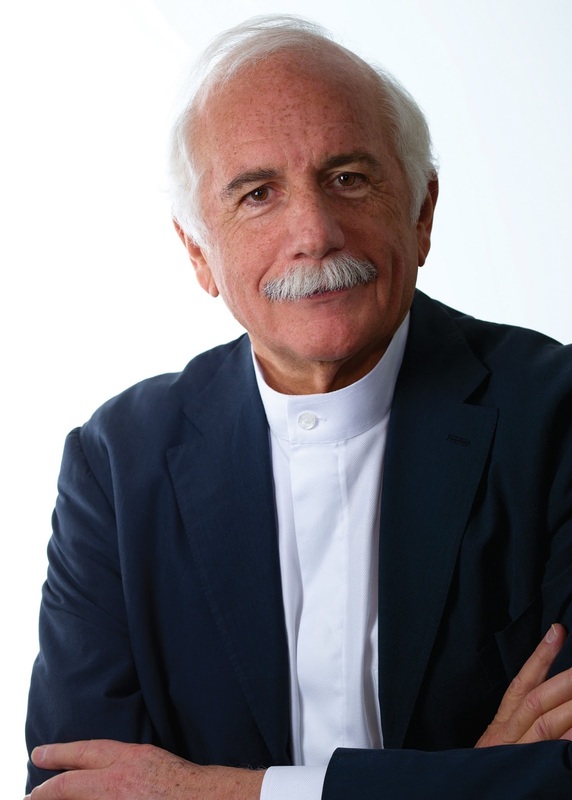 The Boston Architectural College is pleased to announce Moshe Safdie, world renowned architect, urban planner, educator, theorist, and author, as its 2016 Commencement Speaker. Over a celebrated 50-year career, Safdie has continued to explore the essential principles of socially responsible design with a distinct visual language. His humanistic philosophy on architecture and urbanism focuses on the design of the public realm and responds to the essence of place with inherently buildable solutions. Beginning with his architectural thesis at McGill University in 1964 and his first built project, the seminal Habitat '67 in Montréal, Canada (now a national Heritage site), Safdie's remarkable catalogue of work and contributions to the dialogue on sustainable urbanism are unsurpassed in contemporary practice. Born in Haifa, Israel, Safdie graduated from McGill University in 1961 with a degree in architecture. After apprenticing with Louis I. Kahn, Safdie returned to Montreal to oversee the master plan for the 1967 World Exposition. In 1964 he established his own firm to realize Habitat ‘67, an adaptation of his undergraduate thesis, which was the central feature of the Exposition and a groundbreaking design in the history of architecture. In 1970, Safdie established a Jerusalem branch office, commencing an intense involvement with the rebuilding of Jerusalem. He was responsible for major segments of the restoration of the Old City and the reconstruction of the new center, linking the Old and New Cities. Over the years, his involvement expanded and included the new city of Modi'in, the new Yad Vashem Holocaust Museum, and the Rabin Memorial Center. During this period, Safdie also became involved in the developing world, working in Senegal, Iran, Singapore, and in the northern Canadian arctic. In 1978, after teaching at Yale, McGill, and Ben Gurion Universities, Safdie relocated his residence and principal office of Safdie Architects to Boston. In the following decade, he was responsible for the design of six of Canada's principal public institutions, including the Quebec Museum of Civilization, the National Gallery of Canada, and Vancouver Library Square. Safdie's projects can be found in North and South America, the Middle East, the developing world and throughout Asia and Australia, spanning a wide range of typologies, including airports, museums, performing arts, libraries, housing, mixed use and entire cities. Many projects have become beloved regional and national landmarks. In addition to numerous articles on the theory and practice of architecture, Safdie has written several books, most notably, Beyond Habitat (1970), For Everyone a Garden (1974), Form and Purpose (1982), and Jerusalem: The Future of the Past (1989). The City After the Automobile (1997) details Safdie's ideas about urbanism and city planning. A major retrospective exhibition entitled Global Citizen: The Architecture of Moshe Safdie is currently traveling in the United States after its debut at the National Gallery of Canada in 2010. The show, which explores the architect's buildings and design philosophy, is currently on display at the Boston Society of Architects. In recognition of his enduring influence on the built environment, Safdie received the 2015 AIA Gold Medal. He continues to inspire the theory and application of ideas about housing, mixed use and high density in cities around the world. The BAC is incredibly excited to be welcoming Safdie to campus this spring. The 2016 Commencement Ceremony will take place on Friday, May 20, 2016 at the historic Old South Church in Copley Square.